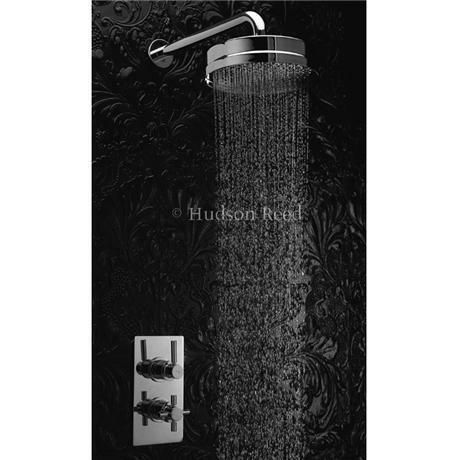 Suppiled with Hudson Reed Tec 8 inch Fixed Shower Head - A3217, a round wall mounted chrome shower head. This large shower head is a design classic and delivers a wonderfully invigorating shower. Shower Head Dimensions: 8" Diameter, Projection from wall: 20¼"